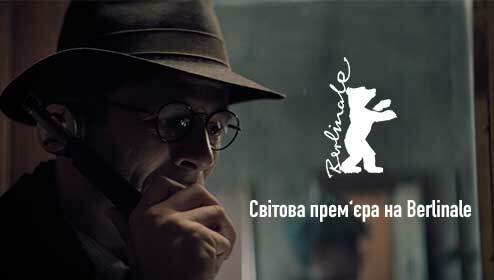 Mr. Jones will participate in the main competition program of the 69th Berlin International Film Festival. During this event, on February 10, an official world premiere of the film will take place. Press screening and official press conference with the participation of Academy Award nominee, director Agnieszka Holland and lead actors James Norton and Peter Sarsgaard are scheduled earlier the same day. Mr. Jones is an only film produced in Ukraine (by Kinorob with the support of Ukrainian State Film Agency) presented in the festival program. Poland (Film Produkcja supported by the Polish Film Institute) and the UK (Jones Boy Films) also joined in creating the film. The wide world and Ukrainian release are planned for autumn 2019. Just a reminder: right before Berlinale Variety, a well-known professional publication, exclusively showcased the first footage from Mr. Jones historical thriller. FYI. Historical thriller Mr. Jones is a real untold story of a young Welsh journalist Gareth Jones who, in 1933, traveled to the Soviet Union to expose and publish to the world the truth about the crimes of the Stalinist regime and the Holodomor (man-made famine) in Ukraine. He saw the famine with his own eyes and spoke out against it to the entire world without hesitation. But the world turned a deaf ear because the politicians of the West were reluctant to recognize and confront this inconvenient story, and the highly-regarded media failed to support him in his crusade to expose the truth, continuing to publish alternative news conceived in Moscow. What first seemed a routine journalist investigation quickly turned into a mortally dangerous endeavor, and its revelations laid the foundation for George Orwell’s famous allegorical novel, Animal Farm. The head of the European Film Academy, Oscar and BAFTA nominee and winner of the 2017 Berlinale Golden Bear, Agnieszka Holland, directed the film. The lead roles in the film were performed by James Norton (War and Peace, Happy Valley, McMafia), Vanessa Kirby (Crown, Mission is impossible: Fallout, Hobbs, and Shaw), and Peter Sarsgaard (Jackie, the Magnificent Seven, An Education). 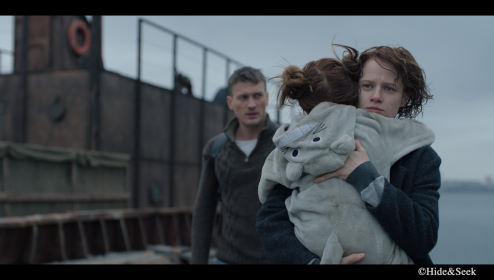 Joseph Mawle (Game of Thrones), Kenneth Cranham (Maleficent, Valkyrie) will also join the cast, as well as Ukrainian actors Yakiv Tkachenko (The Strayed), Oleh Drach (Battle for Sevastopol, A Prayer for Hetman Mazepa), Volodymyr Fedoruk, Anna Shaidiuk, Anastasia Chala and Alina Kovalska are also joining the film’s cast. The film marketing campaign in Ukraine has started and based on a social and educational project of the FILM.UA Group company with the support of the Ukraine Channel general media partner, which aims to popularize the person of Gareth Jones in Ukraine and worldwide, and preserve the memory of Holodomor in Ukraine in 1932-33.